Our Tarrytown criminal defense attorneys have represented hundreds of clients throughout the Hudson Valley. We have handled everything from major gang felonies to traffic court matters. We are local lawyers led by a former prosecutor. Having a local lawyer who is familiar with the protocols of the court, judges, and prosecutors can make all the difference in the success of your case. At our firm, we aggressively represent our clients and advocate for justice. Drug charges can vary is size and scope. Some charges can be a felony where a defendant can face many years in an upstate jail. Other drug charges can be a low level offense for which the maximum sentence can be a local county disposition. There are many strategic considerations that take place on a drug charge and having a lawyer familiar with these tactical decisions can make the difference in whether or not your case is resolved with a favorable outcome. Tarrytown Unlawful Possession of Marijuana is a charge that can have long-term affects for those convicted. While this is considered to be a non-criminal matter, it is prosecuted still under the Penal Law and governed under the Criminal Procedure Law. These areas of law are the same body of laws that govern the procedure for the most serious crimes. A conviction to this charge may affect a student’s ability to receive federal subsidized student loans for college. Tarrytown AUO 3rd Degree (Aggravated Unlicensed Operation of a Motor Vehicle) is a criminal charge. It is chargeable under VTL 511.1. A conviction to AUO 3rd is a misdemeanor and can result in a permanent criminal record. More serious charges of AUO can be a higher-level misdemeanor or even a felony. A common scenario to elevate the charges stems from repeat charges or driving on a suspended license due to a DWI. 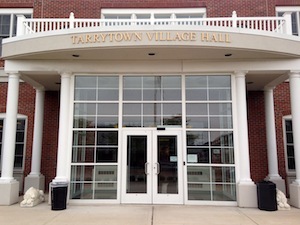 Tarrytown Village Court is located in the Town of Greenburgh in Westchester County. It is a court of local jurisdiction and has limited jurisdiction over legal matters. It has the power to adjudicate matters such as small claims cases, landlord tenant cases, and criminal misdemeanor charges. The court is located across the street from the Tarrytown Train Station and the building abuts the Police Station. Criminal court is held in the morning and charges are prosecuted by the Westchester County District Attorney’s Office. While the DA’s office maintains many satellite offices, the branch in charge of Tarrytown is their Greenburgh Branch. A local Village Prosecutor prosecutes traffic matters such as speeding tickets, red light tickets, and cell phone tickets. These charges often stem from violations on the Tappan Zee Bridge, Route 119, or Route 9. Our firm has represented many individuals and truck drivers for Vehicle Traffic Law violations in Tarrytown.